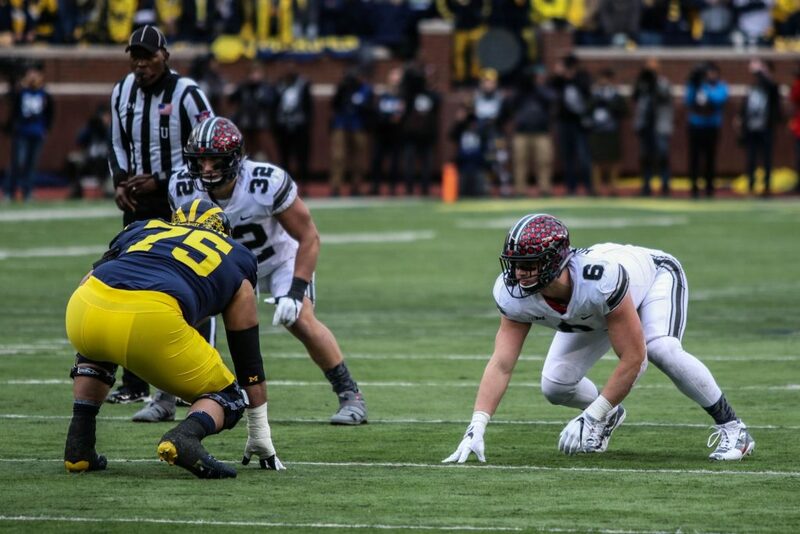 Ohio State redshirt junior defensive end Sam Hubbard capped off last week with a game-ending sack of Michigan quarterback John O’Korn in the Buckeyes’ 31-20 victory against the Wolverines Saturday. He was recognized for that performance as the Big Ten’s Defensive Player of the Week, the conference announced Monday. Hubbard tallied a career-high 2.5 sacks and five total tackles, including four solo tackles. He also forced a fumble. This is the first time Hubbard has received the honor. He is also the first Ohio State defensive player to be recognized with the conference award since linebacker Raekwon McMillan, who was named the defensive player of the week Nov. 28, 2016.